Dr. David Hammerman is a licensed psychologist who has had an independent practice in Newton, Massachusetts, a suburb just outside Boston, since 1981. A graduate of the University of Pennsylvania with a major in psychology, he earned his doctorate in Counseling Psychology from Boston University. Originally trained in psychodynamic and family systems therapy, David integrates a spiritually oriented perspective in his work. His search for effective, efficient methods has led to learning and applying a wide range of approaches to psychotherapy. These include hypnotherapy, EMDR, Internal Family Systems therapy, past life regression therapy, shamanic methods and other mind/body/spirit techniques. 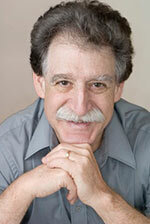 David sees adolescents and adults in individual, couple and family therapy. In his clinical work he draws upon an extensive background and deep knowledge of healing methods to find the best approach for each client. In addition to maintaining a private practice, David has given workshops in couple therapy and hypnosis, as well as past life therapy, and offers supervision and consultation. He is the co-author of The Complete Idiot's Guide to Reincarnation and has published articles in The Journal of Regression Therapies, a publication of the International Association for Regression Research and Therapies and The Journal of Shamanic Practice, a journal of the Society of Shamanic Practitioners (see "Integrating shamanic methods into psychotherapy" on the Resources page).